I consider myself a fluctuator. You know, a sorta healthy weight until the proverbial “___ hits the fan”, life gets stressful, then it starts …. I’m not sleeping enough, I’m eating junky foods, and lots of it, then BAM! I swell up like 2 sizes….until stuff cools down and I’m able to get back to my routine of healthy living. But then again, isn’t that’s what’s happening to all of us? When you are stressed, you are not as good to your body. You eat too much, and it’s usually too much of the bad stuff (did somebody say mozzarella sticks?!). When you are stressed your sleep suffers, you don’t get enough water, nutrients, exercise, or time for play. When you are strapped for time, you eat convenient foods, not good-for-you foods. When we are frazzled, we’re not as nice to our loved ones, which causes them stress (and worsens our own). 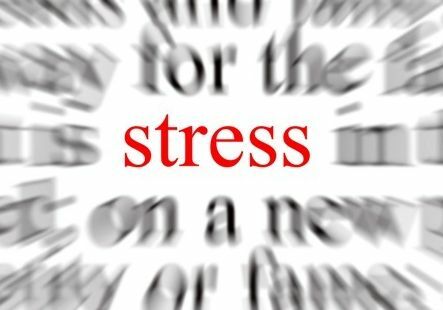 When you body is stressed (you tired of me using that word yet, is it causing you stress?) it holds on to every calorie it can and packs on the fat tissue because it’s preparing for the worst (long winter without food? drought? famine?) Then shedding pounds becomes nearly impossible! I really think, as a nation, we aren’t all over-weight, we’re just all crazy-stressed! So if stress makes you fat and unhealthy, then wouldn’t it make sense that de-stressing and simplifying your life would make you more healthy, trimmer and overall much happier? What are ways you can simplify!? I quit working. Funner to watch the husband do it. Ha! Funny. I’ve definitely decreased my crazy clinic hours in exchange for fewer, longer sessions with motivated clients which I find way more rewarding (and my husband, too, is left slaving away!) but he is trying to simplify now as well. Well, I’m sure you’re great at what you do (which doesn’t help cut back on things any)! The best to you and your family! I believe most people are stressed by things that are out of their control, while they often ignore the things they could control, i.e., their health, nutrition, and their relationship with their spouse. Good point. We, luckily, travel a lot and spend extended time with family–most of whom aren’t as concerned about nutrition as I. When I’m in someone else’s home, I am grateful to be fed and housed and balance that gratitude against dietary priorities. You’re right. When I release control and ‘let things roll’ I am more at ease. Next Next post: RECIPE: Power Balls!